After an abysmal road trip where the Phillies lost 7 out of 10 games, this team had to be relieved to be back in Philadelphia last night. They took an absolute beating from the Brewers, Twins and the Rockies. If you Google the meaning of “bad baseball,” this road trip should be used as an example. But things looked a tad brighter after last night’s 5-4 walk-off win against the Nationals. 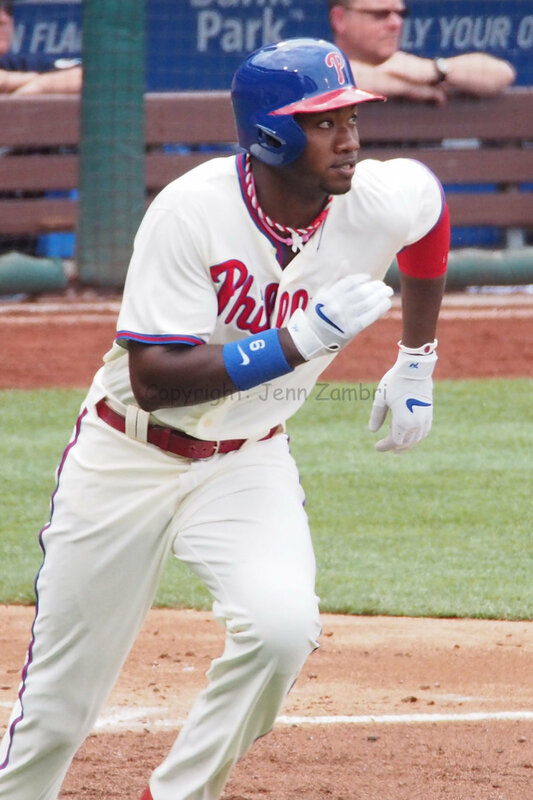 John Lannan returned to the rotation after a knee injury and pitched well; Ryan Howard finally broke out of his home run drought; and Domonic Brown seems to be getting hot again. He even delivered the game-winning RBI single in the 9th. Despite the win though, I simply cannot stop thinking about the awful road trip. In particular, I am greatly disturbed by the events that have taken place at and around third base and home plate lately. Most of these little disasters seem to revolve around veteran third-baseman Michael Young. I hate to keep picking on Young, who seems like a very nice guy, and maybe some of this is not his fault at all. Did you notice that Young got thrown out at home plate THREE times in the last 6 games of the road trip? My question is, does he run home on his own or is Ryne Sandburg sending him? I understand being aggressive, but Young is one of the older and slower players on this team. This is not the guy you send on a close play. I have begun leaning towards Sandburg’s lack of experience coaching third base as the issue, especially after last night. Because it appears he got Howard into a similar jam. He was sending Howard home and quickly changed his mind, signaling for Howard to stay at third. But his momentum was already heading home and Howard got tagged out at third. Sandburg is a Hall of Famer…I get that. So he should know that you cannot stop a moving train. Either make the decision quicker or take your chances that Howard will bowl over the catcher at home. Then again, guys have been getting tossed out on the base paths all over the place all by themselves. Young also got thrown out trying to stretch a single into a double last Tuesday. He also had a bad fielding error and hit into 2 more double plays on this road trip. None the new players Ruben Amaro Jr. brought in this year, including Michael Young, are holding up their end of the bargain. Delmon Young is hitting only .231; Mike Adams has a 4.13 ERA and cannot seem to pitch a clean inning; Ben Revere has started out super slow, although he is improving. And Revere is young so he has a lot to learn yet. Lannan has been ok, but the injury was a huge setback. As for the returning Phillies, too many of them are hurt or under producing. I hate to be such a downer after a rare Phillies win, but this team is just so frustrating! Who are they? Are they going to get any better? Will some of these guys ever be healthy? Your guesses are all as good as mine. Maybe another win tonight will improve my mood? Hope so!